The article below just published in the Mainichi newspaper in Japan illustrates the continuing terrible problems with international child abduction to Japan. (b) The Japanese legal system has again proved itself to be entirely dysfunctional in the area of international child abduction, which will certainly not be corrected by Japan’s signature to the Hague Convention. A Japanese woman has been arrested in Hawaii on accusations she took her 9-year-old daughter with a Nicaraguan ex-husband back to Japan without permission, it has been learned. The 43-year-old Japanese mother and her 39-year-old ex-husband, who lives in the United States, have custody disputes over the child ongoing in both Japan and the U.S. 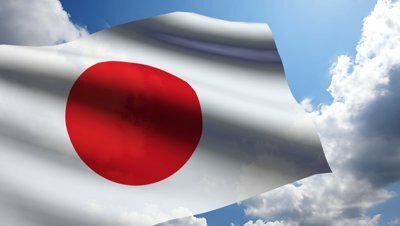 The Foreign Ministry says that it is highly unusual for a Japanese national to be arrested abroad during a custody dispute with a foreign ex-partner. According to legal officials and the Ministry of Foreign Affairs, the woman married and bore the child in February 2002. She lived in the state of Wisconsin in the U.S., but in February 2008 she returned to Japan with the child. In June 2009 her divorce was finalized, but the father was given custody rights. The woman went to court in Japan to have the custody rights changed, and in March this year the court awarded them to the woman, giving the father just 30 visitation days a year in the U.S. Both sides immediately appealed the ruling, and the case is now being deliberated at the Osaka High Court. The woman flew to Honolulu on April 7, 2011 local time to renew her permanent U.S. resident status. However, an arrest warrant for the woman was on issue from Wisconsin authorities for violating the father's custody rights by taking the child to Japan without permission, and the woman was arrested by Hawaii authorities. She remains in custody, and a trial is ongoing in Wisconsin. Prosecutors suggested a plea bargain where she would be given a suspended sentence in exchange for returning the child, who currently lives with the woman's grandparents in Japan, but she has refused and maintains her innocence. The ex-husband has reportedly said that if the woman will return the child, he does not want her held further, and he wants the child to be able to meet both parents. A lawyer for the woman, however, says that she fears that if she returns the child once, the child will never be able to come back to Japan. According to the Ministry of Health, Labor and Welfare, records of Japanese international marriages since 1992 show a peak in 2006 of around 44,700, after which they have been declining, with around 32,000 in 2010. On the other hand, Japanese international divorces have increased, peaking at about 19,400 in 2009. International divorces are accompanied by unique problems like differences in national law, children's nationality and parental custody rights, and people leaving the relevant countries. Professor Takao Tanase of Chuo University's law school says, "The Hague Convention on the Civil Aspects of International Child Abduction's primary objective is to get the child in such disputes returned to the country they were taken from, and therefore civil-level procedures to return the child are prioritized. If the child is returned, criminal legal action is often not pursued. If Japan joins the convention, I think that there will be fewer cases that lead to arrests."